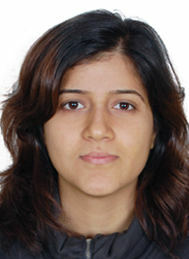 Vaishali Sharma is an Indian lawyer who completed her B.A. LL.B. (Hons.) from NALSAR University of Law, India. She hails from the state of Jammu and Kashmir, which is a conflict zone, and has in the past worked as a practicing lawyer on issues related to terrorism, constitutional rights and rule of law. Inspired and motivated by her legal and personal background, she attended Geneva Academy to further pursue her interest in International Law, in particular International Humanitarian Law and Human Rights. She has worked as a law clerk to Judge Fatsah Ouguergouz, Vice President of African Court of Human and Peoples’ Rights, and is currently engaged as a legal intern with the Senior Legal Policy Advisor to the Office of the UN High Commissioner for Human Rights. Lack of Transparency is a prominent and crucial issue plaguing Drone operations and mostly concerns the legal basis for the strikes, the identity of the targets, and disclosing information about civilian casualties and investigations. Numerous calls for Transparency have been voiced by all stakeholders in International Law. In light of this, the paper discusses Transparency as a legally relevant principle which reflects social reality. Having said so, Transparency is not an obvious obligation under International Humanitarian Law (IHL) and has been given little attention in the past. This paper argues that Transparency as a concept exists through extensive correlations, and establishes that the legal basis for Transparency in IHL is found in the duty to investigate, and in the duty to respect and ensure respect as given in Article 1 common to the Geneva Conventions. It further discusses the emerging right of effective remedy and right to truth as a basis for advocating for Transparency in IHL. Finally, it identifies Transparency as intrinsically connected to maintenance of international legal order and rule of law, and discusses certain policy arguments which favour the move towards more Transparency, both at the domestic and international level. The findings of this paper establish a positive legal basis for Transparency in IHL, and these findings are significant for they can be extended to other pertinent and contemporary issues covered by IHL.